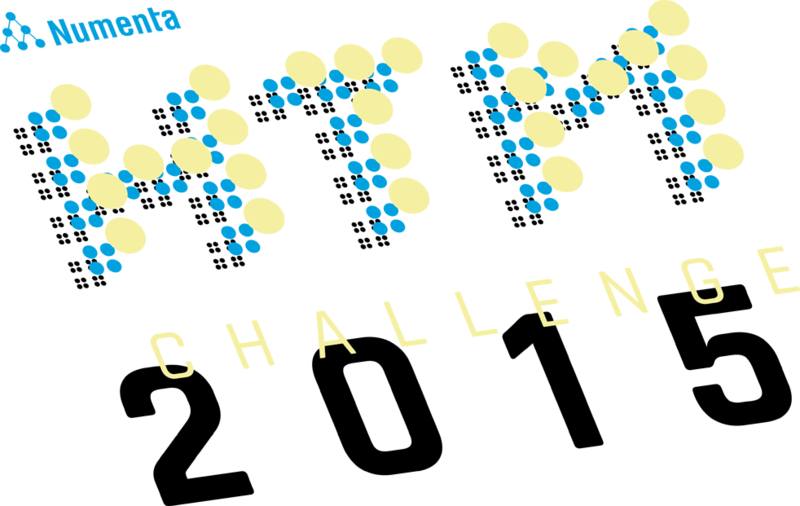 A few weeks ago, Numenta held their first HTM Challenge - a six week hackathon with cash prizes. I believe these events are very important for Numenta as they work to evangelize their NuPIC platform, and grow the HTM community. Previously, Numenta has been putting on hackathons in the standard format - a weekend of creative activity. However, due to the newness and complexity of this technology, it was proving difficult to produce polished demos in a day or two. I think giving teams longer to work on their projects, and raising the profile of the event was a good idea. It certainly turned out well - there were entrants from all over the world, with a great deal of diversity in the submissions. I was very honored to have been asked to be a member of the HTM Challenge judging panel. Before the event, Numenta asked me a few questions to help participants get to know the judging panel a bit better. I thought I would post some of my answers (slightly edited for this blog) here. How did you get involved in the Machine Intelligence field? I read Jeff Hawkin’s book, On Intelligence, which was a revelation to me. It profoundly altered the way I viewed the world, and how we perceive our own experiences. This led me to attend the Fall 2013 NuPIC Hackathon. I have been studying, learning, and trying to help in any way that I can ever since. What do you think is the most potentially useful or interesting application for Machine Intelligence? This is a tough one, since I find it difficult to narrow down the potential uses of HTMs. Whenever I do, the list just seems to get longer! That said, at the moment I am most interested in applications using sensors that are not native to humans (such as vision, hearing, touch, smell, etc). Instead, HTMs in which we can use non-human sensors will enable us to derive valuable intelligence about domains in which we humans do not normally operate. Examples might be in complex machine systems such as computer networks, electrical grid, energy plants, factories, or the inner workings of automobiles. Additionally, scientific research can greatly benefit from HTMs connected to a wide variety of environmental sensors that humans do not possess. This will give us a greater level of intelligence about domains that are difficult for us to understand natively and intuitively. What excites you most about HTM Technology? I am most fascinated by how HTM is different from traditional approaches to computing. In fact, one may perhaps take the position that an HTM does not so much compute information, but instead responds, or is changed by information. The implications here are enormous. In traditional computing, someone, somewhere, has to come up with a set of rules in order to deal with any given situation. It tends to be very rigid. Generally, in order to create effective systems, the programmer must have a very firm grasp of the domain in which the computer is working, so that they can write rules that allow the computer to deal with the variety of situations the system is likely to experience. With an HTM, it is constantly changing and adapting to the information it is exposed to. This implies that we can build systems that can become extremely knowledgeable about a domain on their own. Of course, we aren't quite there yet, but this appears to be the direction we are going as we begin to build systems that can learn. Where do you see the future of Machine Intelligence in the next 10 years? Technology evolves very quickly, so it is very hard to see accurately into the future, especially when a specific thing will happen, but I will give it a shot. I foresee HTMs implemented in a variety of domains, but most importantly, also interconnected. This interconnectedness will allow the generation of very deep hierarchies, creating a kind of global intelligent resource of unprecedented scope. Imagine a scenario in which HTMs running in traffic monitoring equipment, cars, medical equipment, weather stations, financial institutions, home appliances, satellites, etc, are all able to draw on each other’s collective intelligence to make informed decisions about the challenges that they each face.